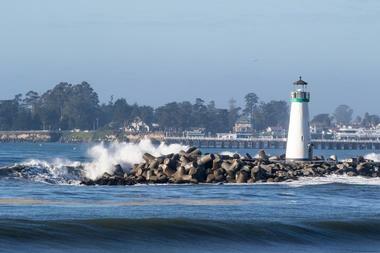 Visit Santa Cruz, Oakland, Sacramento, Napa and other unique destinations. From the sophistication of San Francisco, CA and high tech advances of San Jose to ancient sequoia forests and the untamed wilderness of its many parks, Northern California is land of contrasts, breathtakingly beautiful, cherished and protected, visited by millions, and painted, described, and loved by artists for centuries. 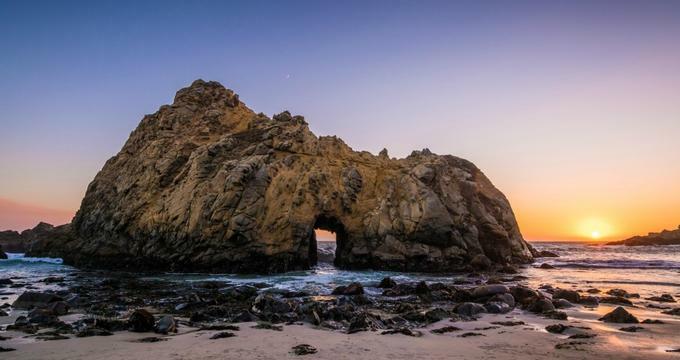 Big Sur is a spectacularly beautiful stretch of California’s central coast located between Carmel and San Simeon, snuggled between the steep slopes of the Santa Lucia Mountains and the Pacific. Most tourists see this scenic area from the narrow State Route 1, which winds and turns beside steep seaside cliffs, offering lookout points every now and then. The most famous, and the oldest, national park in the world, Yosemite National Park in north California is 1,200 square miles of some of nature’s most beautiful creations, from deep valleys, wildflower-covered meadows, and 3,000-year-old giant sequoias to the vast High Sierra Mountains wilderness and thundering waterfalls that dry up in August, and so much more. Start your exploration in the valley, a one-mile-wide and seven-mile-long canyon created by a river and shaped by glaciers. It is surrounded by enormous walls of towering domes and pinnacles, with El Capitan, the world’s largest exposed granite monolith, towering above the valley. From here, you can take one of the many marked trails that offer 800 miles of hiking through the park, from easy walks through forests to week-long endurance tests up the High Sierras. Along the way, you can spot the chipmunks, mule deer, brush rabbits, marmots, and warblers. Take a walk through towering red fir and pine forests, flowering dogwood and dwarf willows, enormous ancient sequoias, pass spectacular waterfalls and cool brooks. And once you leave the valley, you will not have to worry about the four million people that come to the park each year, you can be as alone as you wish, just you and nature. Located on the northern end of Monterey Bay about 32 miles from San Jose, Santa Cruz is a quintessential small coastal town with beautiful sandy beaches, world-famous surf, spectacular mountains covered with ancient redwood forests, serene organic farms, and a thriving wine and beer scene. Snuggled between South Bay and the Santa Cruz Mountains, San Jose is the heart of Silicon Valley and the Bay Area’s main technological hub. 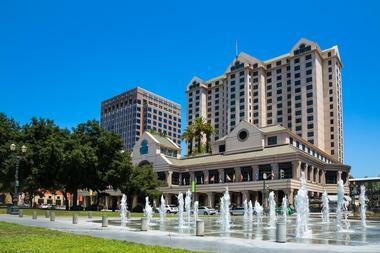 Known as the home of many tech giants, San Jose is also a beautiful modern city with a vibrant downtown that has 250 restaurants, nine theaters and many art galleries and museums. A large port city just across the bridge from San Francisco, Oakland is a place of its own and has the most ethnically diverse population in the country. It is famous for its political activism as well as for its festivals, theatres, and galleries. Surrounded by many parks and with a spectacular view of the Bay and San Francisco, Oakland is great place to visit. The Mendocino National Forest, only a three-hour drive north of San Francisco, is 913,306 acres of mountains and canyons in the coastal mountain range, luring those who seek solitude and quiet. 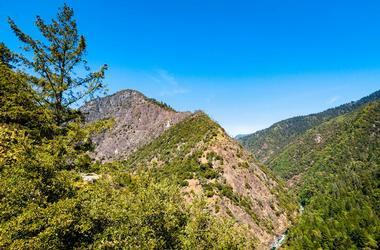 From 750 feet in the Grindstone Creek Canyon in the foothills of the Sacramento Valley to the 8,092 feet of South Yolla Bolly Mountain, the elevation changes dramatically and with it the flora and wildlife at home there. Check out the rustic old Pine Mountain Lookout at 4,000 feet, surrounded by dense pine and fir forest, or visit the Red Bluff Recreation Area where you will find a mix of oak forests, grasslands covered with wildflowers, wetlands and the cool, clear Sacramento River, home to 125 species of birds and many wild animals. 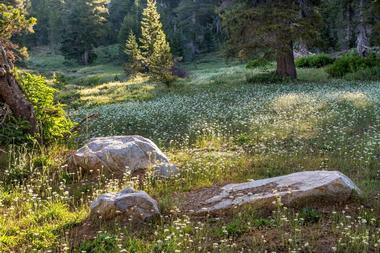 There are four miles of trails offering great views of Mount Lassen, Mount Shasta and the Yolla Bolly Mountains. Redwood National and State Parks is a group of four old-growth temperate rainforests located along the coast of northern California: Redwood National Park, Del Norte Coast, Jedediah Smith, and Prairie Creek Redwoods State Parks. Together, they cover 139,000 acres and protect 45 percent of all globally remaining coastal redwood (Sequoia sempervirens) forests. Sequoias are the tallest species of tree on Earth and can live up to 3,000 years. Besides sequoias, the parks also protect grassland prairie, rivers, streams, animals, and other plants living in this ecosystem, many of them endangered or threatened, as well as 37 miles of pristine unspoiled coastline. Take a hike through the massive redwood groves, visit pristine sandy beaches and quaint little hamlets like Klamath, where the Klamath river spills into the sea. The Klamath overlook offers a fantastic spot to watch passing whales. Just an hour’s drive from San Francisco, Sonoma County is a world apart with its lush and verdant space that lures wine lovers to its almost 500 wineries. But even if you are not interested in wines, Sonoma is a beautiful area to visit, with miles of spectacular Pacific coastline, sandy beaches, magnificent rivers, ancient redwood forests, fantastic world-class restaurants, quaint bed and breakfasts, and a lot of history. Called “The Smiles of Gods” by the native Modoc people who first settled the area, the Modoc National Forest is located in northeastern California and is a 1,654,392-acre diverse and mountainous area full of pine forests, lakes, meadows, streams, canyons, wetlands, lava beds, and vast high desert plateaus. 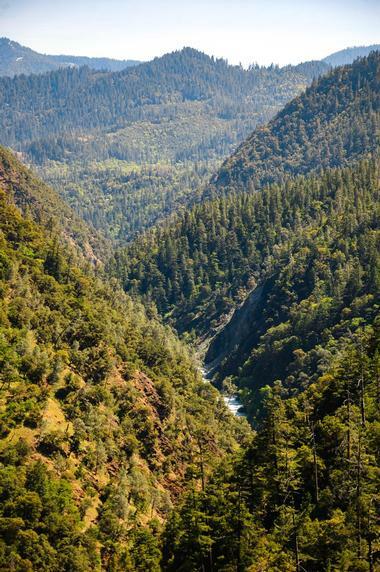 The lower foothills are mostly covered by bitterbrush and curl-leaf mahogany, but as you go higher, you will encounter dense forests of ponderosa pine, red and white fir, aspen, and incense cedar. Even higher, they are succeeded by lodgepole and western white pines. 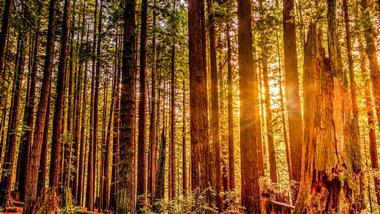 Almost 43,400 acres consist of old-growth forests. Scenic drives, hiking trails, and camping grounds provide easy access to this magnificently wild and tranquil area. Swim at Medicine Lake, fish Ash Creek, ride a bike or horse, watch the birds or look for wildlife; Modoc will give you an unforgettable time. 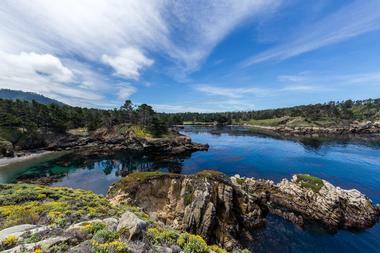 Just south of Carmel-by-the-Sea, at the north end of the Big Sur coast of the Pacific Ocean, is Point Lobos State Natural Reserve, which also includes the Point Lobos State Marine Reserve and the Point Lobos State Marine Conservation Area. Spectacularly beautiful and a dream for artists, nature lovers, scuba divers, and hikers, the area is also of great scientific interest. There are endangered archeological sites, rare plants, a rich plant and animal world both on land and under the sea, and amazing geological formations. The area is also rich in coves, headlands, and meadows and boasts an incredibly diverse underwater habitat that lures divers. There are seals, sea otters, sea lions, migrating gray whales, and thousands of seabirds as well as a number of great hiking trails along the coast that often end in small, hidden coves. Only 12 miles north of San Francisco, the Muir Woods National Monument lies on Mount Tamalpais in a hidden canyon near the Pacific coast and is part of the Golden Gate National Recreation Area. It was established in 1908 to protect an old-growth coastal redwood forest. This spectacularly beautiful, shady, and moist park with fog permanently hiding the sky-high treetops is a magical place where one can imagine what the world looked like thousands of years ago. If you come early in the morning, you will find serenity and solitude among the wide boardwalks and trails surrounded by majestic trees and other rare plants and trees that survive in the permanent shade. However, once the tour busses arrive, the forest looks more like an amusement park than a temple to nature. The tallest tree in the park towers 258 feet and the oldest tree is 1,200 years old. The Marin Headlands is a fascinating rocky peninsula just north of San Francisco, across the Golden Gate Bridge, with spectacular views of the entire Bay, the bridge itself and the city. The headlands are part of the Golden Gate National Recreation Area. 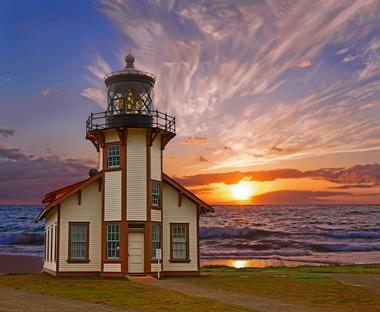 This is a curious mix of breathtaking natural beauty with lovely beaches, such as the dog-friendly Rodeo Beach, fields of wild flowers, historic Point Bonita lighthouse, fantastic hiking trails along the rugged coast, World War II guns, a Cold War missile site, and so much more. You can spend the night under the stars in one of many campgrounds, watch the migration of raptors or whales, look for remnants of the Miwok Indians, who lived here first, and generally have great old time outdoors just around the corner from San Francisco. Jedediah Smith Redwoods State Park is 10,000 acres of pure wilderness with a dense dark old-growth redwood forest that contains seven percent of all the redwoods left in the world. 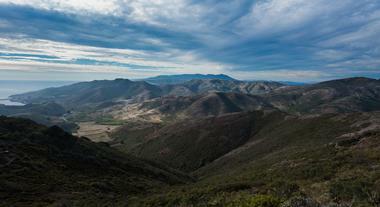 Only a few miles inland from the ocean, the area has been protected since 1929 and was named by Jed Smith, the first white man to explore the north California wilderness. It is a great place to spend some time enjoying the surrounding majesty. You can fish, kayak or snorkel the Smith River, drive along Howland Hill Road, sit by a campfire at the Jedediah Smith Campground, or explore the 20 miles of trails through this shady rainforest full of ancient giants. If you come to Yosemite in August, you might have hard time believing that there are so many waterfalls in the park – they all dry out in the summer because most receive their water from the melting snow. If you come in June, you will find many majestic waterfalls roaring over rocky overhangs into dark deep pools. 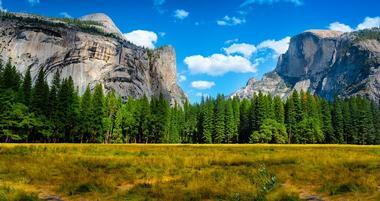 The tallest is Yosemite Falls, which flows from November to July and makes quite a spectacle in May. It consists of three falls: Upper Yosemite Fall (the tallest at 1,430 feet), the middle cascades, and Lower Yosemite Fall. The views of the falls are great from anywhere in the Yosemite Valley. There is a shuttle that takes visitors to the base of the falls, or you can hike to the top if you are prepared for a quite challenging climb. 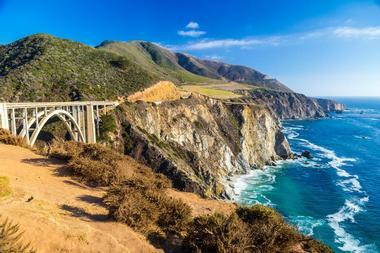 Big Sur beaches are not the wide, golden sand beaches of Southern California. Surrounded by rugged cliffs, difficult to access, often draped in fog, and much cooler than expected, they are still breathtakingly beautiful and worth the effort. The most beautiful is crescent-shaped Pfeiffer Beach, surrounded by purple cliffs that wash down to the beach spilling unique purple sand. The most scenic part of the beach is a huge rock with a portal through which waves permanently crash with all the might of the ocean. This is not a swimming beach, the surf is too dangerous for swimming, but the purple sand, consisting of manganese garnet washed down from the rocks above, is perfect for strolling. Overnight camping is not allowed and the beach can only be used during the day. 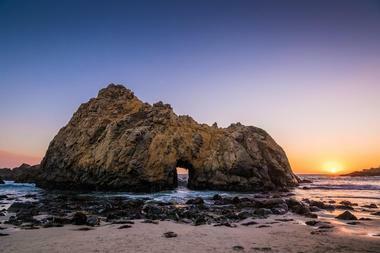 You can reach the beach from Hwy 1, about quarter of mile from the Big Sur Ranger Station. 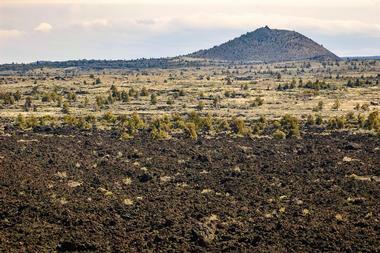 Located on the northeastern side of the Medicine Lake Volcano, where the Sierra-Klamath Cascade meets the Great Basin, the Lava Beds National Monument is where you can imagine what our planet may have looked like in ancient times. This unearthly landscape formed from molten rock is a vast volcanic tablelands dotted with pit craters, cinder and spatter cones, and over 700 caves. The caves are in fact tubes formed when the edges of the flowing lava started to cool. After hot lava stopped flowing, it cooled and hardened, leaving behind strange tubes of various sizes. While the area looks desolate and barren, it is teeming with life that has adapted to the strange ecosystem. The cracks are filled with sagebrush, western junipers, and mountain mahogany, providing a home for pronghorn antelope, mule deer, rabbits, and many bird species such as bald eagles. About two dozen tubes along Cave Loop Road can be explored and kids love it. Start with the kid-friendly 1,405-foot-long Hopkins Chocolate Cave. 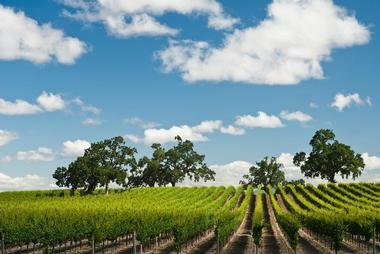 Napa is a small and charming town in Napa County in the heart of the Napa Valley wine region. It has had a very turbulent past and its late-1800s and early-1900s architecture bears witness to its many ups and downs. Once merely a starting point for exploring the surrounding vineyards, Napa’s beautiful riverfront promenade, world-famous restaurants such as Carpe Diem and La Toque, and lively arts scene, including the famous Napa Valley Opera House, make Napa a destination in its own right. Humboldt Redwoods State Park is located about 30 miles from the town of Eureka in northern California. 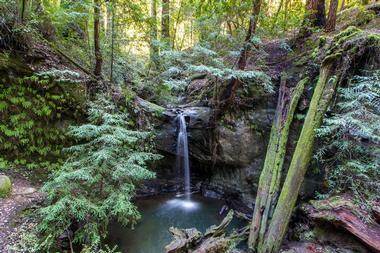 It includes Rockefeller Forest, the largest contiguous old-growth forest of coastal redwoods in the world. 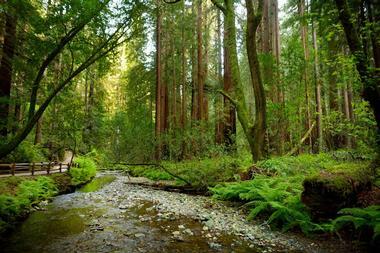 The 51,651-acre park also has old-growth mixed forests, old-growth redwoods and the Bull Creek watershed. About 100 of the park’s coastal redwoods are over 350 feet tall. The tallest, at 370 feet, is named the Stratosphere Giant. There are more than 100 miles of hiking trails through the shady tunnels between the giant trees, which are also used for horseback riding and mountain biking. South Fork Eel River offers great fishing and swimming. Located in the heart of the magnificent Santa Cruz Mountains, Big Basin Redwoods is the oldest state park in California. It was established in 1902 to protect its biggest treasure, and biggest attraction, its ancient coastal redwoods. Some of them are 2,500 years old, older than Roman Empire, and span over 50 feet around the trunk. The views of the Pacific from the park are spectacular, and the park is a great place to unwind and breathe among the thundering waterfalls, shady peace of the forest, and rich history. The park has over 80 miles of trails, taking you past many waterfalls, and through lush, green canyon bottoms and sparse slopes covered by chaparral. If you are lucky, you will spot deer, bobcats, raccoons, and many birds such as egrets, California woodpeckers, and herons. Located on a bluff overlooking the ocean less than ten miles from Fort Bragg, Mendocino is a charming coastal village that looks like someone picked it up in New England and dropped it into California. 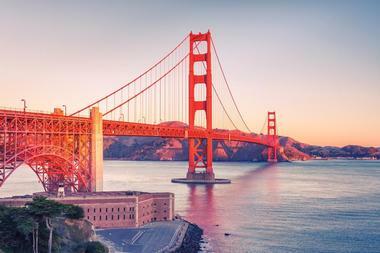 With its white picket fences dripping with fragrant roses, its picturesque lighthouses, vibrant port, high-end boutiques and world-class restaurants, it is a mecca for tourists, especially Bay Area weekend visitors. 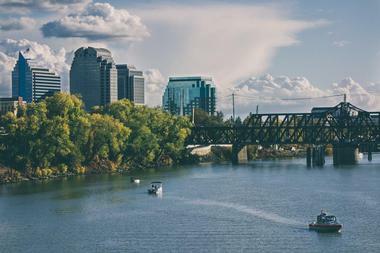 The capital of California, Sacramento lies at the convergence of two rivers: the Sacramento and the American River. The Old Sacramento neighborhood features many reminders of the city’s Gold Rush era, with quaint wooden sidewalks and fun wagon rides. Sutter Fort and the city’s historic cemetery also act as outdoor museums of the Gold Rush times. The city has several great museums. If you are coming to San Francisco for the first time, you will have a list of the must-see city icons. So take one of the charming red trams and go see a few of city’s 43 hills, brave the tall Coit Tower for incomparable city views, sit on the grass at Alamo Square and watch the timeless beauty of the colorful Victorian ‘painted ladies’, or stroll through the Golden Gate Park for a fantastic view of the Golden Gate Bridge permanently shrouded in fog. 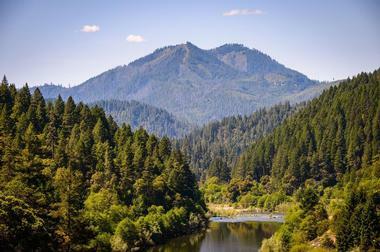 The Six Rivers National Forest is located in northwestern California, east of Redwood State and National Parks. 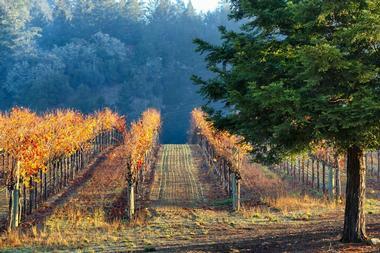 This long and narrow piece of land stretches almost 140 miles between the Oregon border and Mendocino County. From almost sea-level to about 7,000 feet, the elevation changes sharply across the forest range, supporting widely diverse ecosystems. There are large stands of coniferous forest and some oak woodland and grassland, providing a habitat for a number of threatened and endangered species, notably the peregrine falcon and the bald eagle. The Six Rivers National Forest was so-named for the six big rivers that run through it: the Smith, Trinity, Klamath, Van Duzen, Mad, and Eel. With so much water, rafting, kayaking, and fishing are the main activities, along with great hiking, camping, and backpacking. There are 1,260 historical or archaeological sites within the boundaries of the forest. The Klamath National Forest is a vast, almost 1.7-million-acre area at the California and Oregon border. 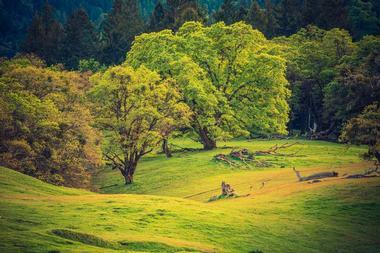 The forest is divided into two parts separated by the Shasta Valley: the steep and rugged mountains in the west and the gentle, rolling land of volcanic origin. The elevations range from 450 to 8,900 feet above sea level, making the Klamath National Forest one of the most biologically diverse regions in America. There are beautiful stands of Ponderosa Pines in the lower regions while higher up there are Douglas fir, fir and mixed conifer stands. There are 200 miles of large and small rivers, perfect for rafting and fishing, 34 campgrounds, and numerous hiking trails. Don’t miss the Living Memorial Sculpture Garden, a 136-acre art installation and war memorial in the Goosenest Ranger District, along Highway 97, created in 1988 by a group of veterans. Glacier Point is one of the most popular and most visited spots in Yosemite National Park. This magnificent lookout is located on the south wall of Yosemite Valley, 7,214 feet above Curry Village. 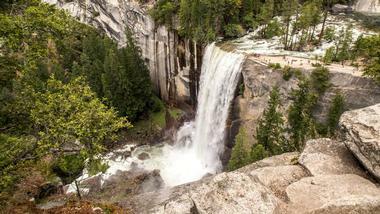 It offers a breathtaking view of Yosemite Valley, Yosemite Falls, Vernal Fall, Half Dome, Clouds Rest, and Nevada Fall. During the summer, the lookout is crammed with tourists. Many tour buses come to Glacier Point via the Glacier Point Road. Tours take about four hours. The area is a heaven for hikers, who can reach Glacier Point using the Four Mile Trail, a steep and difficult trail that climbs 3,200 feet in 4.6 miles. The trail can also be used in the winter when the Glacier Point Road is closed due to snow, but can be very dangerous when covered with ice and snow, so the Park Service usually closes it from December through May.